Full credit goes to ID10-T for the groundbreaking and delicious combination of strawberry flavors used in this. His description is more than sufficient: A unique strawberry syrup (INW Shisha Strawberry), a realistic freeze-dried strawberry (FA Red Touch), and a candy strawberry that puts CAP Sweet Strawberry to shame (JF Sweet Strawberry). This was used to create the semi-artificial strawberry topping for the cheesecake recipe. I decided to add some TFA Pie Crust to bring out the graham cracker crust a bit more, and deepen the profile to balance with the strawberry's tartness. Excellent, masterful, and damn good. I've mixed a few Strawberry Cheesecake recipes and I love them all, this one is my favorite! This is a really nicely developed mix. Most cheesecake recipes have too much or not enough crust element. The crust here sits nicely balanced in the mix. The cheesecake is pretty authentic and not overly rich letting the strawberries do their thing nicely right in the middle. My only criticisms are that I would lower the Yes We Cheesecake a little bit. It gets a little waxy for me much above 3% but that is strictly subjective. I might also raise the Shisha and Sweet Strawberry for a little more of a strawberry syrup direction. Again that's a subjective preference thing. All around this is a really great cheesecake mix that I'll definitely come back to and tweak the balance a bit to my personal preferences. Well done Alfred! How is this not talked about more? It is the best Strawberry cheesecake I've ever had. Hands down. Unbelievably creamy and the Strawberry combo is perfect strawberry jam. Unreal how much this tastes like a high end cheesecake. Amazing dude. This might be the best thing I've ever vaped. This guy - Mr. Pudding - I don't know how he does it. This is a man dedicated to the craft. Anyways, I seen the reddit post for this and immediately ordered the missing flavors, they came in the mail and I mixed it up. Right off the shake - its very strawberry forward, but you do get some cheesecake. After the week of steeping (I'd say it continues improving throughout the second week as well) that pie/graham crust scenario comes to the surface and really makes itself apparent, the cheesecakes do their thing, and the strawberries meld wonderfully as well (thanks ID10-T)- this is an ADV for me. 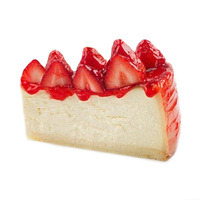 Don't write this off because you think it's just another SnC variation - there is plenty of nuance here and puts the cheesecake trinity on grand display, covered with that semi-artificial strawberry goodness :) Keep it up Alfred.